Our goal is to provide quality dental care for our patients. Our primary focus is YOU, the patient. We provide a warm, friendly atmosphere to help make your visit a comfortable one. Many of our patients have been with us for many years and many travel miles to come see us. 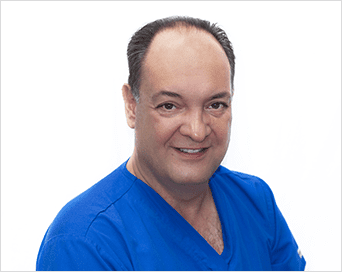 Dr. John Giannopoulos is a graduate of Loyola University School of Dentistry with 28 years of experience. He has been practicing at Franklin Park since 1994. Our office has been serving the Franklin Park community for over 40 years. We are located two doors east of the community center. Our office has been serving the Franklin Park community for over 30 years. Dr. John Giannopoulos is a 1990 graduate of Loyola University School of Dentistry and has been working at our present location since 1994. Recently our office was completely remodeled to better serve our patients. We have four fully equipped dental operatories. 2 We will take a full set of dental films. These films will assist us in detecting any tooth decay and the condition of the teeth and supporting structures. 3 We will perform a thorough examination of your teeth and all soft tissues. After the exam, Dr. Giannopoulos will talk to you about the dental treatment needed and point out problem areas on your films. 4 We will schedule a consultation with you regarding a total treatment plan, financial arrangements and appointments. Please ask any questions that you may have at any time. We want you to understand and be comfortable with all aspects of your dental treatment, as well as become familiar with our office personnel and our office policies. 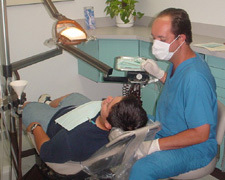 Our fees are reasonable and are not based on whether or not you have dental insurance. They are determined by the complexity of the procedure and the length of time needed for the procedures to be completed. We will be happy to submit your dental insurance forms for you. Please have your portion of the form completed and signed. You are responsible for the charges regardless of insurance coverage. For your convenience, our office accepts Mastercard, Visa, and Discover. To provide our patients with a dental experience that will promote a lifelong relationship built on trust, confidence, quality of work and exceptional dental care. © 2018, Franklin Dental Care. All Rights Reserved.